Mercedes-AMG returned to victory lane Sunday in the IMSA WeatherTech SportsCar Championship with Ben Keating and Jeroen Bleekemolen co-driving to the win in the GT Daytona (GTD) class in the Mobil 1 SportsCar Grand Prix at Canadian Tire Motorsport Park. Bleekemolen capitalized on a late-race restart to get around the No. 14 3GT Racing Lexus RC F GT3 of Kyle Marcelli for the win. The pass came with 14 minutes remaining, one lap after the restart, with Bleekemolen leading the final 13 laps en route to winning the race by 2.919 seconds. It was the first win of the season for Keating and Bleekemolen and the No. 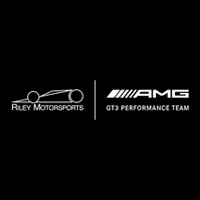 33 Team Riley Motorsports Mercedes-AMG GT3, and the team’s first since Circuit of The Americas in May, 2017. The win also keeps Keating and Bleekemolen alive in the GTD championship hunt. The duo entered the weekend 21 points behind the points-leading No. 48 Paul Miller Racing Lamborghini Huracan GT3 of Madison Snow and Bryan Sellers – who finished fourth – and 20 points behind Katherine Legge in the No. 86 SiriusXM Acura NSX GT3 for Meyer Shank Racing, who finished fifth co-driving with Alvaro Parente. The runner-up finish for Marcelli and co-driver Dominik Baumann was the duo’s second podium of the season. It also caps off a special weekend for Barrie, Ontario native Marcelli, who won yesterday’s IMSA Continental Tire SportsCar Challenge race. A hard-charging Andy Lally rounded out the podium, moving from fifth to third in the final 15 minutes in the No. 44 Magnus Racing Audi R8 LMS GT3 co-driven by John Potter. Lally just missed a second-place finish, falling 0.095 seconds short of Marcelli at the stripe. Five races remain in the IMSA WeatherTech SportsCar Championship season for the GTD class. Up next is the GT-only Northeast Grand Prix at Lime Rock Park on July 21.